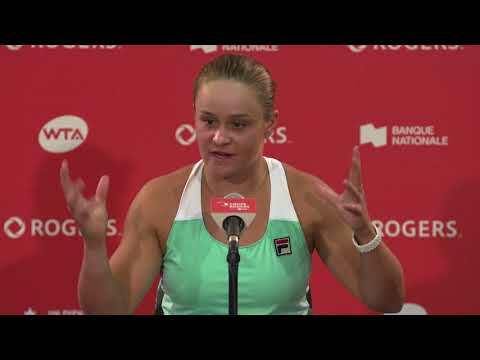 Rogers Cup presented by National Bank is a sporting event that tennis fans anticipate with excitement year after year. While they hope to be first in line for their choice of tickets on Centre Court, many forget about National Bank Court, one of the most intimate tennis watching experiences that the game’s biggest connoisseurs have learned to appreciate over the years. Many great matches have been played on National Bank Court in Montreal. In 2007, no. 91 ranked Canadian Frank Dancevic staged an impressive comeback in an electric atmosphere to defeat world no. 35 Fernando Verdasco and reach the quarter-finals against none other than Rafael Nadal. “I have played many Davis Cup matches in my career where the atmosphere was rocking, but I have never experienced anything like tonight. It was simply incredible,” Dancevic said following his victory. Two years later, Milos Raonic played his opening round match on National Bank Court after getting through qualifying to earn a spot in the main draw. He went up against world no. 10 Fernando Gonzalez and put up quite a fight against the talented Chilean in a match that had the crowd on the edge of their seats once again. After the match, Raonic received a phone from the Prime Minister of Montenegro, his birth country. In 2010, fans watched Canadians Marie-Ève Pelletier and Sharon Fichman come up just short against Caroline Wozniacki and Daniela Hantuchova in doubles. Not to mention that they got to see the eventual singles champion, Wozniacki, up close for the first time. In 2014, Montreal favourite Stéphanie Dubois pushed then world no. 27 Garbiñe Muguruza to three sets in the last Rogers Cup match of her career in front of yet another raucous crowd on National Bank Court. “The crowd was amazing, this court is smaller, but I could really feel that the fans were with me,” Dubois said. 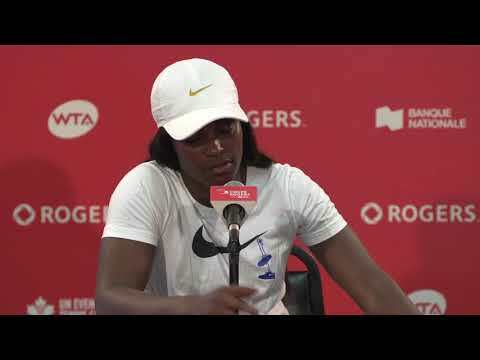 In 2016, Françoise Abanda, who usually thrives taking on the best players in the world, played two tight sets against Elina Svitolina before falling 7-6(2), 7-6(3) against the then world no. 20 on National Bank Court. Just last year, one of the best matches of the tournament was played on Montreal’s second court with Gael Monfils edging out Kei Nishikori 6-7(4), 7-5, 7-6(6) with the Frenchman at his high-flying showman’s best throughout. “This is one of the most important victories of my career. I went for it when it mattered, I never gave up even though I was disappointed to lose the first set and I kept believing until the very last point,” an emotional Monfils explained. We can’t wait to see what’s in store for fans on National Bank Court this year, they will surely be spoiled once again.